Sydney has hundreds of paths, tracks and trails through public gardens, bushland, memorial sites, and waterfalls. To see the best spring colours in each part of the city, you'll need a shortlist. Beside the reborn Darling Harbour, our Friendship Gardens have been a tranquil escape, guided by centuries-old Chinese wisdom. Enter the serene space for respite from the hectic energy of Chinatown, finding harmony beside a waterfall. 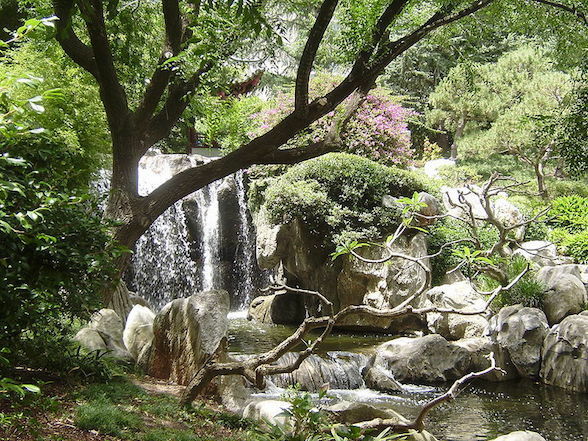 Ponder exotic orchids and weeping willows, visit the ponds to feed koi carp, and refresh with Chinese tea and dim sum. Take a guided walk to learn about the site's history or find the seasonal treats, including Manchurian pears, Camellias and Ginko trees. The Chinese Friendship Garden is open 9.30am – 5.30pm during spring at Pier Street, Darling Harbour. A short walk from Allianz Stadium, this garden in Paddington was inspired by two of Europe's greatest ancient wonders, Rome's Baths of Caracalla and the Hanging Gardens of Babylon. After opening in 2009, the designers won national prizes for revitalising a the former industrial site. Over 100 years ago, the site's reservoir was a vital water source. Now, it's a fusion of the original timber and iron moulded into a contemporary garden. These elements are the foundation for boardwalks through the manicured space. Follow paths leading into sunken gardens. The curious shadows cast by brick archways shift as the sun crosses the sky, inviting multiple visits. 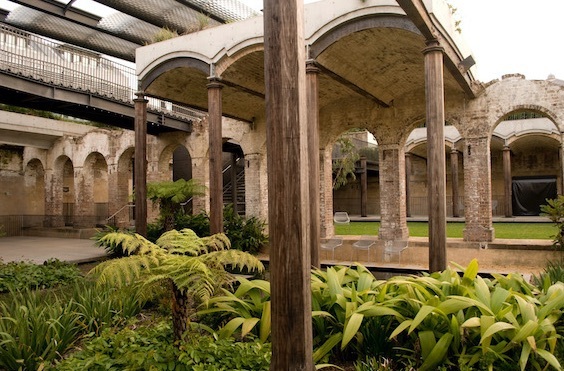 Paddington Reservoir Gardens are open all day during spring at 255 Oxford Street, Paddington. A century ago, a doctor with green thumbs planted a series of gardens on this 2.6-hectare site. 50 years later, the council bought his creation, Hornsby's Lisgar Gardens, opening them to the public. Climb the steep hillside to admire the tiers of plant life, hovering above sandstone walls. Highlights include the colourscape of azaleas and rhododendrons, in the shade of native ferns. The good doctor planted camellias in the 1950s. His flowers have blossomed each year ever since, as a new generation of local volunteers tends to the garden. It's now expanded to host over 90 varieties, vibrant enough to overwhelm any horticulturist. Relax in the shade house, see fish swimming ponds fed by waterfalls, take a walk in the rainforest, lunch at the picnic area and stretch out on the lawn, beneath spring sunshine. Lisgar Gardens are open Monday to Friday 8am-3:30pm and weekends 10am to 4pm during spring at Lisgar Road, Hornsby. Since Sydney's colonial beginnings, the Cumberland Timber Forest was harvested to help build the city's homes and infrastructure. Tucked into this natural green belt, the Nurragingy Reserve was opened to the public as a recreation spot. Over 1 million people visit 63 hectares and during spring, the reserve's picnic shelters, barbecues and playgrounds will be popular weekend getaways for locals and tourists. Enjoy an organic history lesson in the Chang Lai Yuan Chinese Gardens, based on architecture styles from the Ming and Qing Dynasties. These Chinese empires flourished for over 5 centuries and their legacy continues at the Seven Arch Stone Bridge and Light Mountain Pavilion. Take easy bushwalks between towering Forest Red Gums, gently flowing creeks and natural ponds scented by shrubs of native herbs. Nurragingy Reserve is open 7am – 7pm during spring at Knox Road, Doonside. The RBG has been Sydney's green lungs for 200 years and a must-see site for any visitor. Ornately sculpted gardens? Check. Breathtaking harbour views? Check. Native flora and fauna? Check. Recreation and picnic spots? Check. Flowering highlights for every season? Check. In spring, the otherworldly Butterfly Amaryllis is flowering. These large, purple and green bulbs from Brazil are striking ornamentals. Stroll the Spring Walk, created in the 19th century to treat visitors with over 10,000 flowering tulips, bursting with colour. Share a romantic moment amid the fragrance of wisterias and peaches. For an encounter with native flora, look skyward for the dark red flowers of the Gymea lily, sweet with nectar for hungry birds. For the art-lover, the La Reyna racehorse, immortalised with a bronze sculpture, stands beside a Calabash tree. 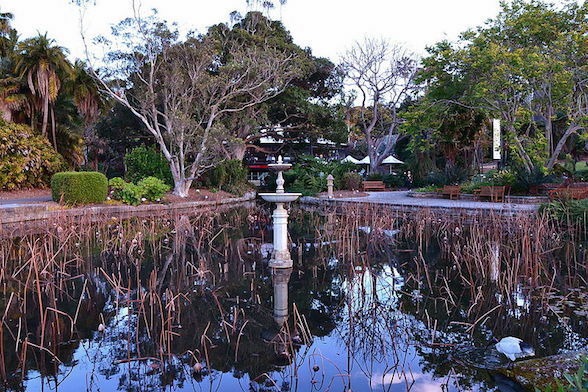 The Royal Botanic Garden is open from 7am at Mrs Macquaries Road, Sydney. Have you found another special spring garden? Please let us know, we love to discover new favourites. Why? For a splash of spring colour. Cost: Free, with small entry fees for the Chinese Friendship Garden.